Photo evidence from Iraq of Iranian-manufactured FVI Safir ("Ambassador") 4x4 multipurpose military vehicle equipped with D.I.O. Fajr-1 twelve-tube rocket launcher firing Haseb-type 107 mm rockets. Iranian arms photographed purportedly upon arrival at Iraq's Umm Qasr Port: AKM-type assault rifles and related munitions, FVI Safir 4x4 multipurpose military vehicle. 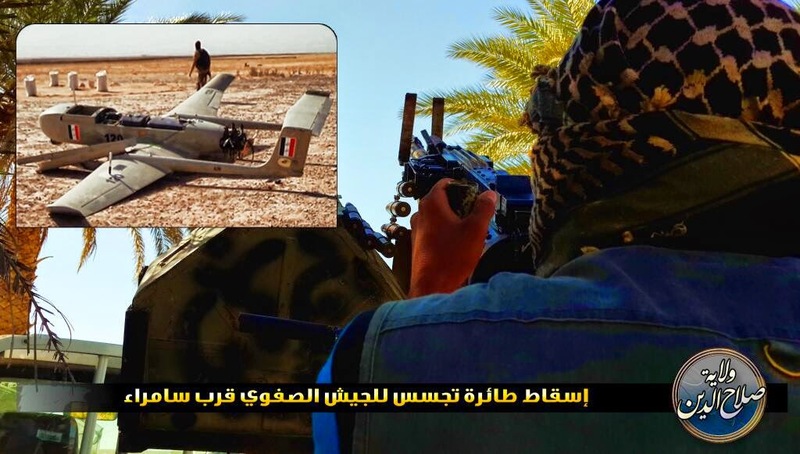 "Islamic State" publicity photo of Iranian-manufactured Ghods Mohajer-4 unmanned aerial vehicle (UAV), purportedly brought down by hostile fire west of Samarra. 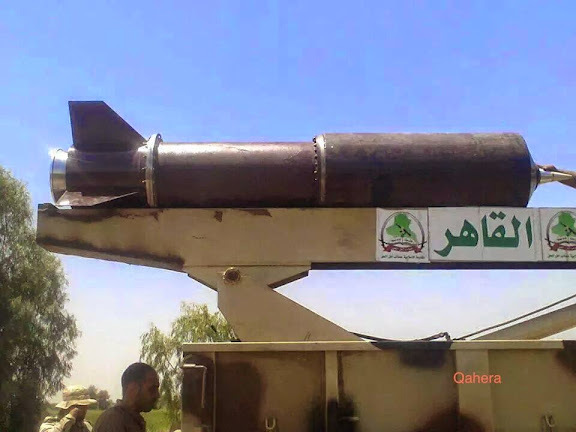 Note Iraqi military markings. 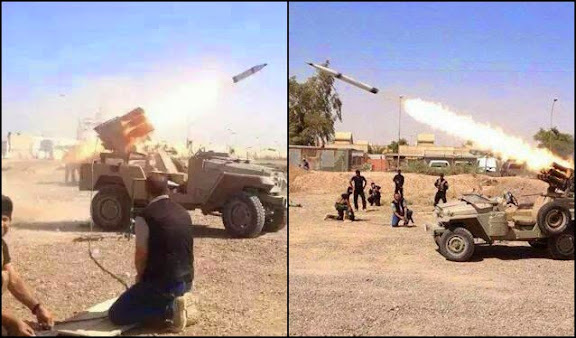 Is there much information regarding what air defences ISIS have. The SU-25 that came down kiliing the IRGC Colonel. Was it confirmed it was shot down? If so, is there any reports regarding what system was used? Iran has not disclosed any information on the circumstances of Col. Alamdari's death. We know he was one of the most senior IRGC pilots, and IRGC handles the SU-25s, but he also could have been killed on the ground, for example in a role of an advisor, during an insurgent attack on an air base. We'll post further info as they become available. Beautiful. Another drain on Iran. THE Saudis have promised to change tack on its relations with the US -this is after the BOD refused to intervene in Syria.